We are constantly looking for ways to incorporate more veggies into our diets and one of the best ways to get the entire family involved in diversifying our menu. We decided a long time ago to have fruits and vegetables as the main part of our diet but we too fall into ruts with the same old weekly menus. 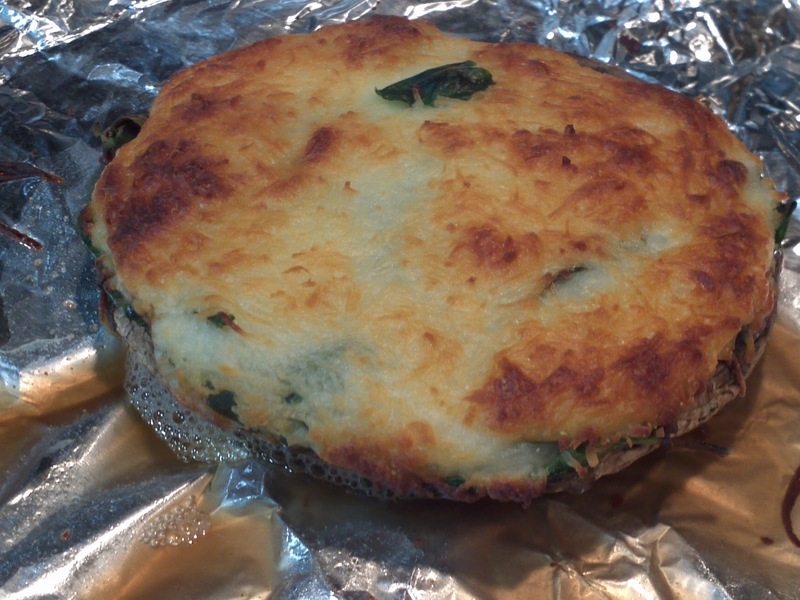 This week on my Sunday shopping trip, I found huge portabello mushrooms topped with mozzarella and spinach. Simple, I thought. 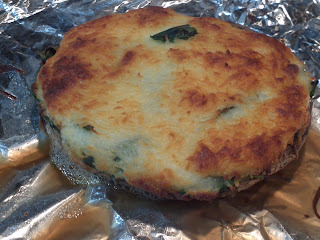 At 375 degrees and 20 min. we would have ourselves a tasty side dish. My husband and I love mushrooms but what about those other little ones that live with us? How would they react? I thought the best way to get them to embrace my Wonka sized fungus was to get them involved in its full on creation. In our fridge we keep many staples like eggs, raw carrots, and apples. 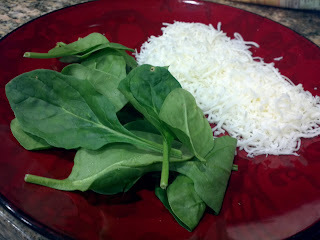 Raw spinach leaves and shredded low-fat mozzarella are also among the staples because for busy families, these two items can be healthy and delicious life savers. Atop sweet tomatos, as nachos and a spin on grilled cheese are just a few of the quick and easy recipes this dynamic food duo can create. Into the oven! 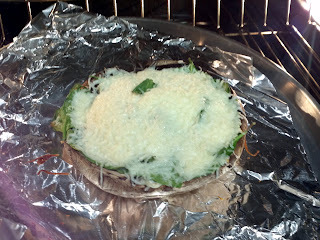 Mushroom before baking. I allowed the children to come in and top the mushrooms to their liking. More to their loving because they embraced the odd looking veggie with full on dubious faces. Very cute but very dubious. 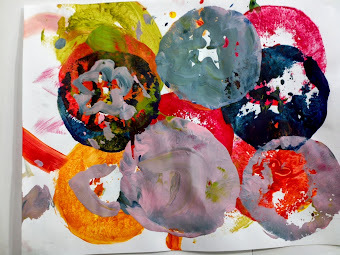 Children love to get their hands messy and it served as a bonding time and teaching opportunity for me. I love having them in the kitchen and we talk all about the science of recipes, temperature, kitchen safety and cleanliness. I take it all in & try to utilize every moment to the advantage of my family. These moments are most important. I even take in a breath with the mess at the end which, go figure...I am amazingly left to clean. They did take the utensils to the sink, though. Good job, guys! We had the cheesiest mushrooms and after a little bit more coaxing, they ate them up. Cutting them like pizza slices didn't hurt either. You don't have to top it all with cheese like this and the majority of vegetables we eat are raw. These massive and delicious portabellos were new for all of us so we decided to combine our introduction with old favorites from our fridge. Kids will eat veggies. Just get them involved and make it messy & fun.